A captivating listening experience and a first class performance thanks to the Gringolts Quartet’s playing and Christian Poltéra as second cello: a full and at the same time deeply focused sound allows the listener to experience the pieces as if from the heart of the action – one feels completely cocooned in this strangely unfamiliar yet hugely appealing music. They have already had the opportunity to collaborate with eminent artists such as Leon Fleischer, Jörg Widmann, David Geringas, Malin Hartelius, Christian Poltéra and Eduard Brunner. Aside from the classical repertoire for string quartet, they are also dedicated performers of contemporary music, including string quartets by Marc-André Dalbavie, Jörg Widmann and Jens Joneleit. Highlights from the past seasons include performances at the Salzburg Festival, Lucerne Festival, Gstaad Menuhin Festival, St Petersburg Philharmonia, L'Auditori Barcelona, Sociedad Filarmónica de Bilbao, Società di Concerti in Milan and the Kasseler Musiktage. 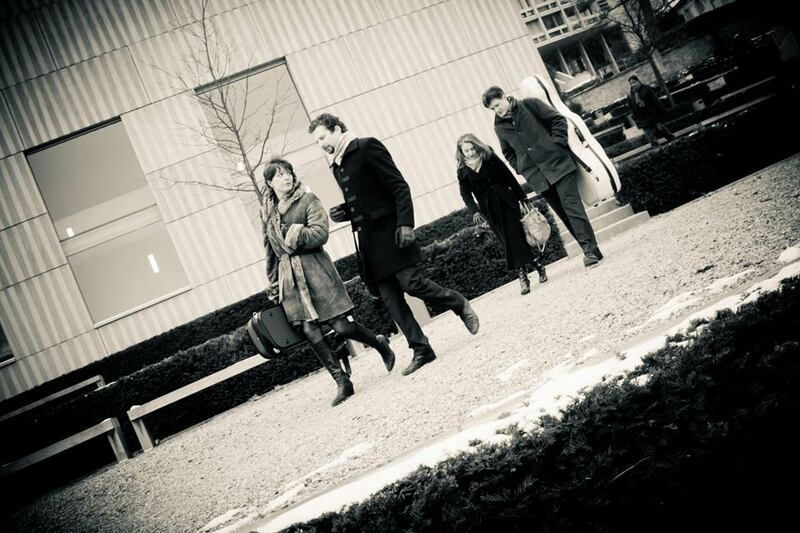 In the current season the Gringolts Quartet will make its debuts at Wigmore Hall, Louisiana Museum Copenhagen, Lugano Musica and Stockholm Konserthuset. Concert tours will take them to Italy, Germany and Switzerland. The Gringolts Quartet’s debut recording with works by Robert Schumann was released in 2011. Together with David Geringas the Gringolts Quartet participated in the world premiere recording of Walter Braunfels’ quintet in 2012, which was awarded a "Supersonic Award," as well as an ECHO Klassik award. In 2014 they garnered attention with their Brahms CD (“The interpretational concept reveals new ways of understanding the work.” (Pizzicato.lu), while their latest CD with quintets by Glazunov and Taneyev with Christian Poltéra was released in Spring 2016 and awarded the Diapason d’Or.